Tumakuru, a land where Lord Rama and his wife Sita are said to have rested of their way back from Lanka. A land whose countryside is dotted with temples, each narrating stories of divine grace. Of times when the lord descended on earth to rid his devotees of their misery. Magnificent temples. Majestic forts. Scenic splendor... Tumakuru has them all. Covering a total area of 10,598 sq.km., Tumakuru district’s villages and taluks have fascinating stories attached to them. A famous centre for pilgrimage, Siddhaganga has a temple dedicated to Siddhalingeshwara on a hillrock which is held in high esteem by devotees. At the entrance of this temple six shrines can be seen. 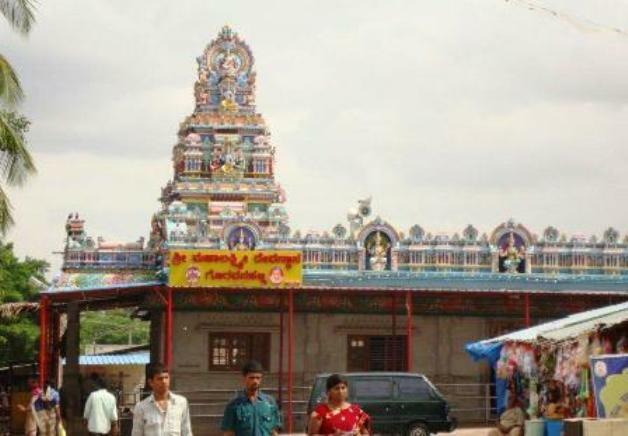 Near this temple, amidst scenic surroundings, stands a Veerashaiva Matha. The Matha feeds thousands of students and pilgrims daily. This is one of the important educational centres. The nearest railway station is Kyatasandra near Tumakuru. The temple is half a km away from the railway station. Siddaganga is also well connected by buses from Bangalore and Tumakuru. About 50 kms from Tumakuru, Sira was founded by Rangappa Naik. 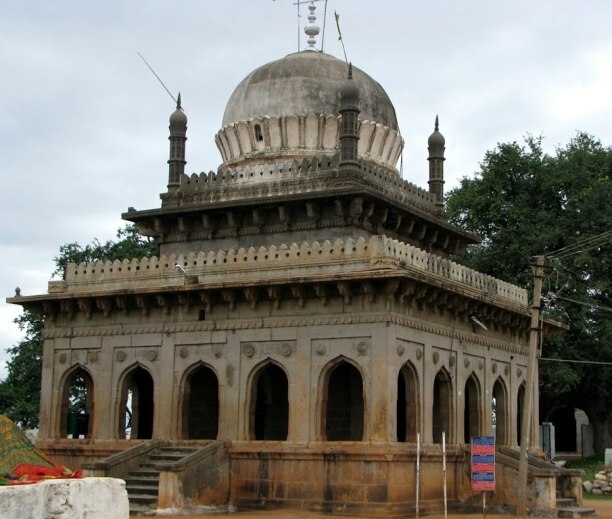 Later, Sira was Conquered by Ranadullah Khan, a general in Bijapur army. After the conquest, Malik Hussain was appointed Sira’s Governor. After the Bijapur kingdom fell to Aurangzeb, Dilawar Khan was appointed governor of Sira. He then built a fine palace here which is said to have inspired the palaces of Bangalore and Srirangapatna. He also laid out a beautiful garden that is said to have been the model for the Lalbagh Garden at Bangalore. Located in Sira is the Juma Masjid and the tomb of Malik Rihan Made from hewn stone, both these structures are fine examples of Saracenic architecture. Another monument worth seeng is the Ibrahim Rauza that contains many tombs. Built in the Hindu style of architecture, except for its minarets, this building has cornices and doorways with hindu motifs. Sira is well connected by buses from Tumakuru and Bangalore. About 12 Km, South of the Banasandra railway station. Turuvekere was once an 'Agrahara' or 'Rent Free Village' granted to scholarly brahmins in the 13th century A.D. Nearest railway station is Banasandra, 12 km., away. Buses are also available from Tumakuru and Tiptur. Yadiyur was the home of a famous Veerashaiva spiritual teacher and author, Totada Siddhalinga. His samadhi stands today in the Siddhalingeswara temple which is built in Dravidian style. This temple has a Ratha (Procession car) with six stone wheels. A car festival takes place annually in March-April and lasts a fortnight. This is a pilgrimage centre for Lord Shiva’s devotees. Yadiyur is well connected with buses from Bangalore, Tumakuru and Kunigal. Situated on the Tumakuru Sira Road at distance of 30 kms from Tumakuru, this village contains a beautiful temple of Narasimha. The terrakota and frescoes of this temple are of 18th century. Tumakuru is the nearest railway station from where buses are available to Sibi. Situated at a height of 3734 feet, Channarayana Durga was strategic fortress during , medieval times and many battles were fought for its possession. The fort was originally built by Channapa Gouda in the 17th century, a feudal lord from Madhugiri. Later the fort fell into the hands of the Mysore king and also the Marathas. Today Channarayana Durga is a popular trek route. It abounds in ayurvedic herbs because of which it is also called Siddharabetta associated with the Siddhas of Natha Pantha. At the bottom of the hill, there is a shrine of Murarimatha, a saint. Buses are available from Tumakuru and Madhugiri. Situated amidst hill and dense forests, Devarayana Durga seems as though it has stepped right out of a picture postcard. 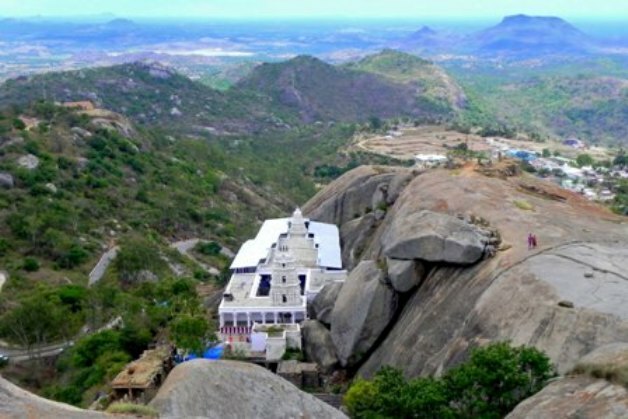 In the hilly terrain of Devarayana Durga, are various holy spots like the temples of Durga (Fort) Narasimha built by Mysore rulers in the Dravidian style of architecture, the Sanjivaraya temple dedicated to Hanuman and the temple of Kumbhi Narasimha. Near the Narasimha Temple are three sacred ponds called Narasimha Teertha, Parashara Teertha and the Pada Teertha. The Pada Teertha is inside a large cave. There is another cave with the statues of Lord Rama, his consort Sita and his brother Lakshmana. On going a little further from the hills, there is a natural spring called ‘Namada Chilume’. There are also some other springs nearby. The rivers Jayamangali and the Shimsha originate from these hill ranges. The place is quite cool in summer. Originally named Kridapura, Kaidala acquired its present name because of a supernatural incident believed to have taken place here, connected with the legendary sculptor Jakanchary. A flaw was pointed out in masterpiece by this sculptor by another young sculptor called Dankana. This resulted in the senior sculptor cutting off his right hand. On building the kaidala keshava temple, Jakanchary’s lost hand was restored and hence the name Kaidala (Kai means Hand in Kannda). To his great surprise, Jakanachary later found that Dankana was his own son. This beautiful Keshava temple in the Dravidian style contains a 5 feet 6 inches tall figure of channigaraya. The nearest railway station is Tumakuru from where buses are easily available for Kaidala. Surrounded by hills, Madhugiri is a prosperous town famous for its pomegranates. It has one of the finest hill forts in the state. A feudal family of Vijyanagar had this place as their capital. It was here that the queen of Keladi, Veerammaji and her son were exiled by Haider Ali, in 1763. Adjoining this fort is the Mallinatha Basti, a jain temple. 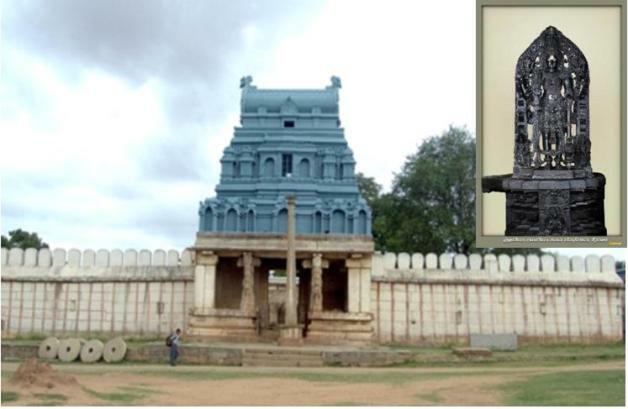 Apart from this temple Madhugiri also houses the Melleshwara and Venkteshwara temples. Both these temple have a huge pillars on which lamps are kept. 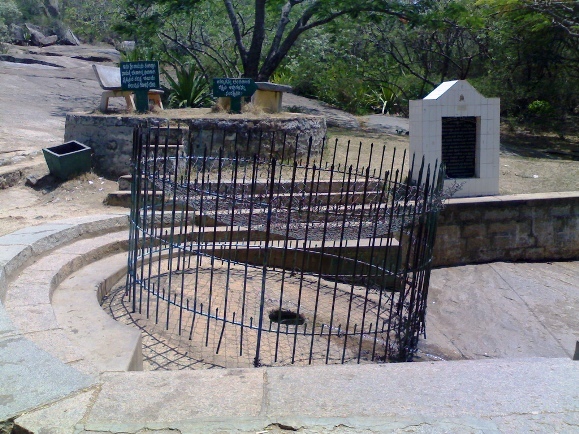 Also at Madhugiri are several wells such as the Jainyana-bavi, the Arasana-bavi and the Pradhanara-bavi. These wells have steps leading to the water and are beautifully decorated with sculptures. Tumakuru is the nearest railway station. 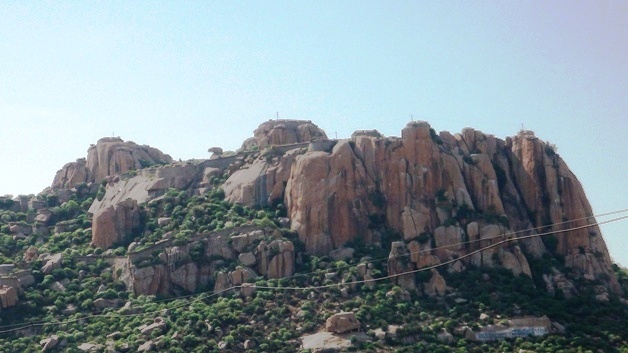 Madhugiri is also well connected by buses from Tumakuru, Bangalore and Mysore among other places. 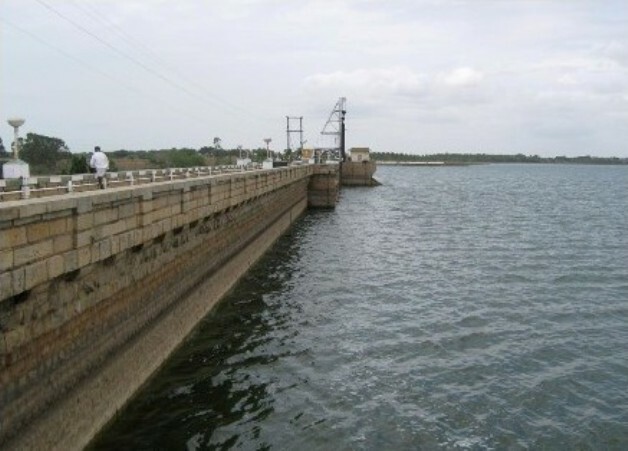 Situated about 25kms from Kunigal, Marconahlli is the site of a dam built across the Shimsha river. This dam which was built in 1939 led to the birth of an agricultural colony in 1942 which was run on modern lines. Marconahlli is well connected by buses from Kunigal. 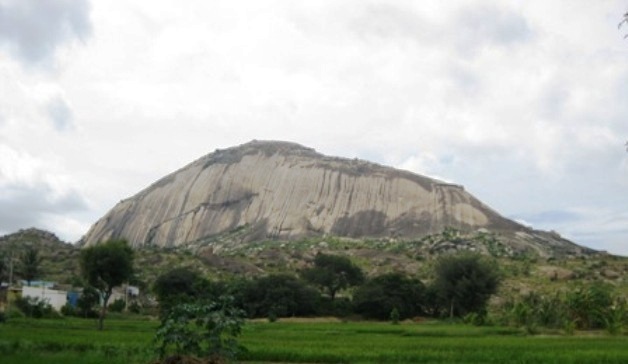 Also known as 'Snake Hill', Pavagada was named after the discovery of a stone with a snake engraved on it. The hill fort here was built by a Vijayanagara emperor in 1405, and it was the headquarters of a feudal lord of this empire. The fortified hill, standing at a height of 3000 feet, was attacked by the chiefs of Ratnagiri, Nidugall and Rayadurga. It was also attacked by the Marathas before being annexed by Haider Ali who further strengthened the fort. During the Srirangapatna campaign this fort fell to the combined might of the Marathas and the English. However, after the signing of the peace agreement, Tipu Sultan recaptured the fort. Pavagada is well connected by buses from Madhugiri and Tumakuru. 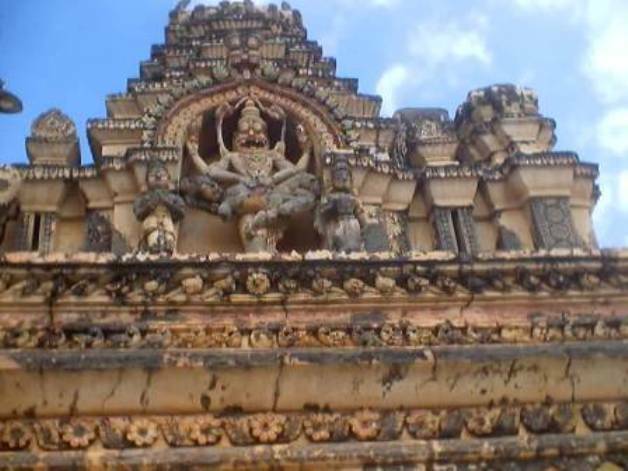 Is a place in Tumakuru districtt., 6 km from Banasandra railway station where there is a famous Kalleshwara temple in the Ganga-Nolamba style of the 9th century A.D. Its ceiling has wonderful dancing Shiva sculpture with musical accompanists and eight Dikpalas surrounding him with all their paraphernalia. 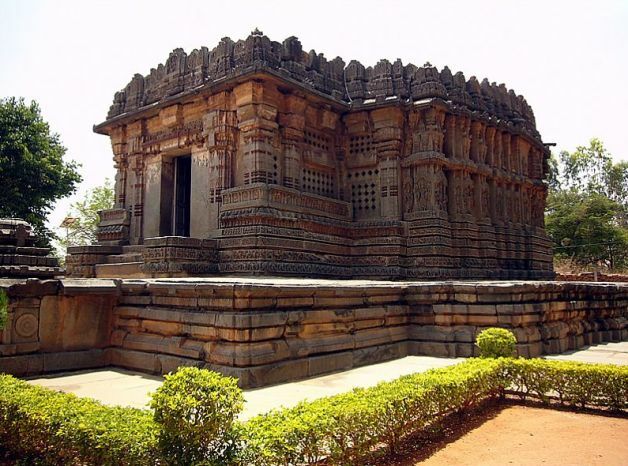 There is a Chennakeshava temple of the Hoysala style. The image of Vishnu in the garbhagriha is magnificent. There are four Ganga temples at the place. About 30Km from Tumakuru in Koratagere taluk there is a famous Lakshmi Temple whose idol is said to be self originated , there will be special poojas which will be performed on fridays. Boodagavi, in Koratagere taluk has a hill, Siddharabetta. It is an attractive centre of pilgrimage. An interesting feature of the hill is that it is hollow inside and one can ascend the hill which is in the midst of a forest and come down to its base inside through the hollows. There is a samadhi of Saint Gosala Siddheshvaraswamy which is visited by pilgrims from the surrounding parts, particularly on Mondays. It has a cave-temple enshrining a Linga at the foot of which is a perennial spring in the form of a well, which is said to be the source of the Suvarnamukhi river.